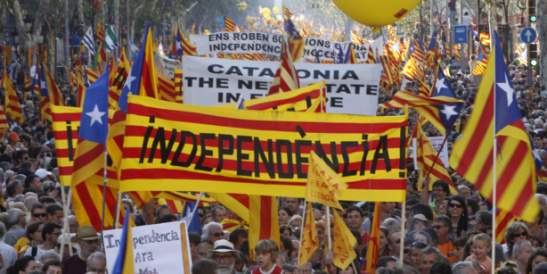 Prior to Sunday’s contested Catalonian referendum, local media reported around 1.5 million pro-independence posters were removed from the region. Two publishing centres were closed down, several were arrested. Visiting the area last week, almost every tree, every door, window, building and even dog harnesses, were caked in patriotic slogans. Some were long extracts from John Stuart Mill’s ‘On Liberty.’ Others were posters designed by school children. Imagine any other region, let’s say Scotland, wanted to be an independent state. The arguments become, once the emotions simmer down a tad, about economics. And make no mistake, this is an economic revolution. 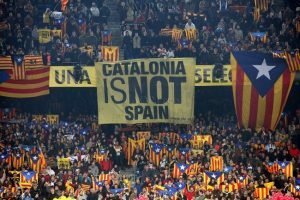 The Basque region wants independence from Madrid, as does Catalonia, however the Basque region couldn’t afford to be a state – Catalonia can. The reason is simple, with seven million people contributing a quarter of a countries GDP, the region has the financial muscle to dream of going it alone. Which makes the left wing element of the movement ever more perplexing. 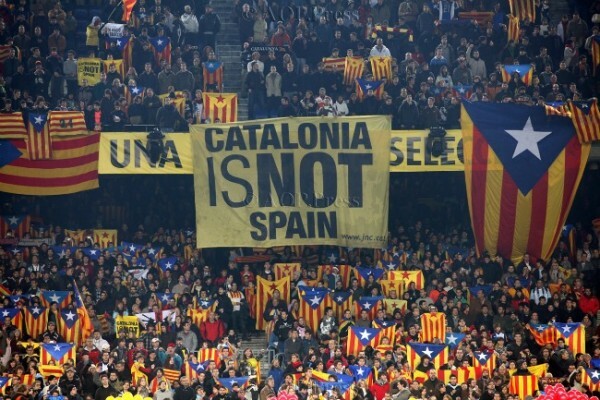 Of course there is history; many Catalonians feel the wounds were left untreated by central Spain following the brutal suppression of Franco – to many the left is symbolic of struggle, not of economics. But to many it isn’t. It’s become, for many, a chance to actualise utopia: a new dawn, heralded in under a red flag. But like all dreams, it’ll cost a lot of money. Luckily, Barcelona, the financial hub of Spain, is good at bringing in the cash. Low business rates attract businesses. Once again: If you let a business keep lots of its money, it will stay. And it will create jobs, then people will have money to spend on things like tapas. The people who sell tapas will then store away their cash in banks, which are being kept in the city because of low business rates, who in turn will invest in other people wanting to make their millions in tapas, or whatever. That’s how it works. That’s how it will succeeded, if it’s given the opportunity, and it’s exactly what the left are opposed to. Nationalised banks, higher rates of tax on the rich, or on businesses, will see the money machines up sticks to mainland Spain. Then the revolution will be truly for the people. And then it will fail. It is an economic revolution, as it has to be, if they are to win.